← How durable is the Trash Knight™? Will the refuse service still pick up my trash? Q. Will the refuse service still pick up my trash? A. I have a letter of approval from the service in my area and don’t see why yours would refuse it. It takes far less time for the trash man to open the Trash Knight™ than the individual lids, and they don’t have to pick up spilled garbage. There is no downside for them. They probably aren’t picking this one up. Q. Is the Trash Knight™ an environmentally responsible product? A. Yes it is. 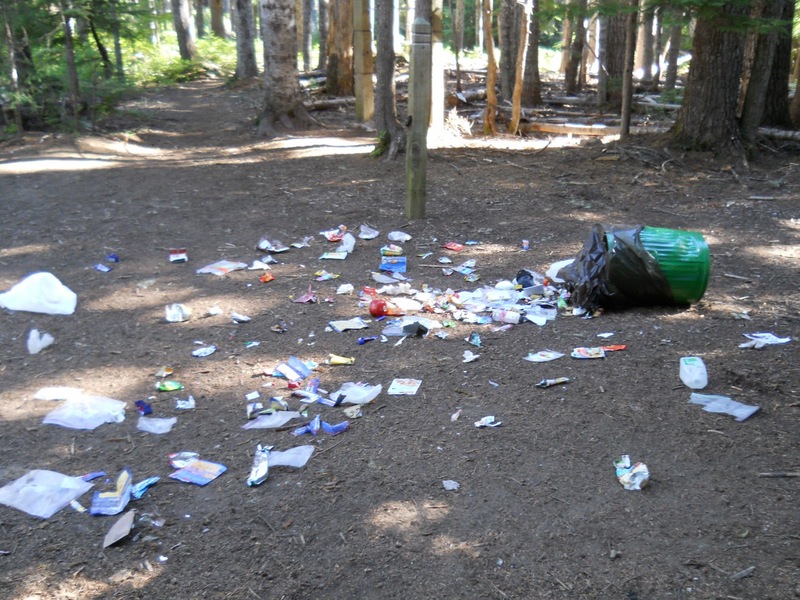 Bears and other animals can be very secretive and often consume your trash away from the can site. We regularly see acres of trash strewn forest surrounding some of our neighborhood subdivisions. Our products keep America beautiful. Our unusable steel cutoffs and scraps are recycled or used for sculpture, and powdercoating is a very ‘green’ coating process. Applied dry and baked to flow over the steel structure, it produces no overspray and zero volatile organic compounds (VOC) into the atmosphere. Q. $400.00 for a trash cart? A. For what it is and does, the Trash Knight™ is priced very well. A two can Premium unit costs the same as eight lineal feet of the three foot high steel fencing that would be built to surround a deck. Mountain Metalwerks LLC is an Oakhurst, California company located in the foothills of the Sierra mountain range. Tired of picking up garbage, the owner invented The TrashKnight. The TrashKnight has successfully protected residential garbage from animal intrusion (including several black bear attempts) for almost two years.